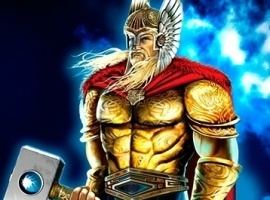 Fruit slots are some very popular casino games even though nowadays software developers produce all kinds of slot machines, with fancy features and complex themes. 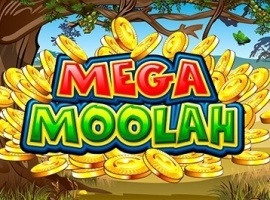 There are lots of players who enjoy fruit-themed slots but don’t want to play some games which use those outdated graphics and boring sound effects. 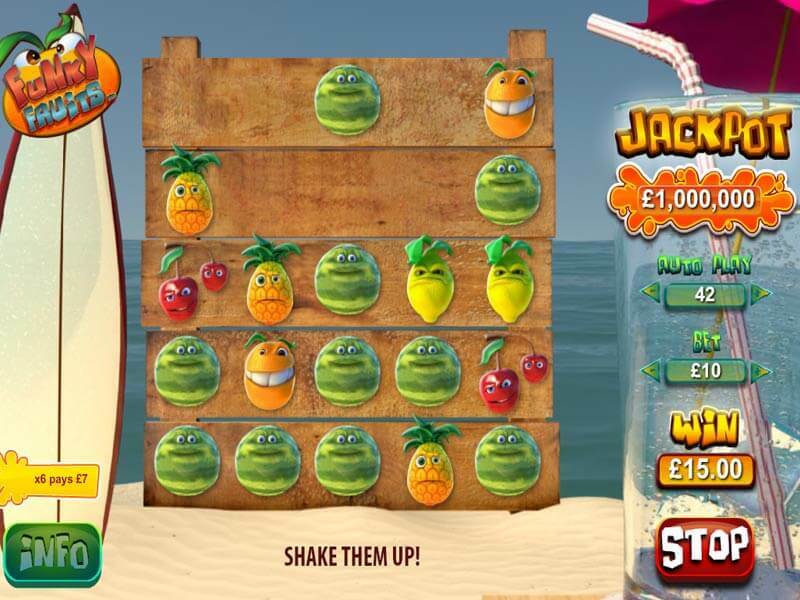 For these punters, Playtech developed Funky Fruits, a title which combines this classic theme with modern elements, to offer people an enjoyable experience. 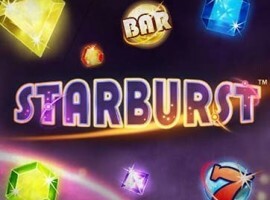 Usually, a fruit slot machine uses a simple configuration with three reels and a single payline but this is not the case with Funky Fruits, as it offers players the chance to try a brand new type of gameplay. It doesn’t use paylines and the screen is filled with symbols, placed on a 5x5 grid. In order to win at this fruit slot, you must place at least five similar icons one near the other. Each time you click the play button, those funny fruits fall from the reels and they’re replaced with other symbols while a win will make the elements involved in it explode. The value of the prize depends on how many fruits you managed to destroy, with a maximum being offered when you fill the reels with the image of a single one. There is also a big jackpot included in this fruit slot machine and it can be redeemed by those players who found at least 8 cherry symbols. 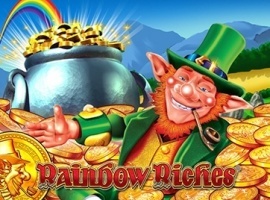 Depending on how many icons you’ve landed, you will get a certain percentage of this jackpot, so if you want it all you’ll have to fill the reels with cherries. Funky Fruits has nothing in common with those retro, boring slot machines, as the only element that might remind you of them is the fruit theme. 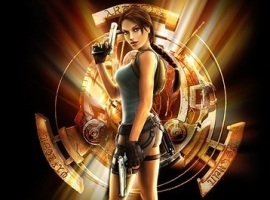 Its graphics look really good, using high-definition visual elements, bright colours, and lots of nice animations while an animated background image will make you think of a vacation at the seaside. All the fruits from this slot look like cartoon characters and the sound scheme includes all kinds of childish tunes, exactly like those you can hear when watching a cartoon. 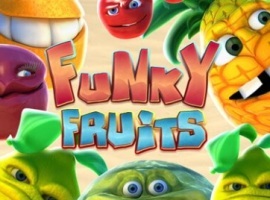 If you’re one of the players who appreciate fruit slots but don’t want to waste their time with old-fashioned games, playing Funky Fruits will be an exciting experience for you. 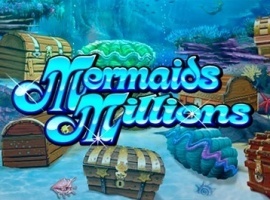 Along with some impressive prizes, this title will also bring you lots of fun, both in the free version and when you play for real money.